The Evanston Public Library remained open on the Martin Luther King Jr. Day holiday to give families an opportunity to remember the civil rights leader through literature. EPL director Karen Danczak Lyons said it’s important for the library’s resources to be open to the public today to honor MLK’s legacy. This was the first year the library has partnered with Young, Black and Lit, an organization that provides free books containing positive representations of black children to children in Evanston and Chicago, Lyons said. The organization gave away 150 books at the event that share messages that align with King’s. Many parents who attended offered to connect the organization to District 65 schools to continue spreading the distribution of these books. 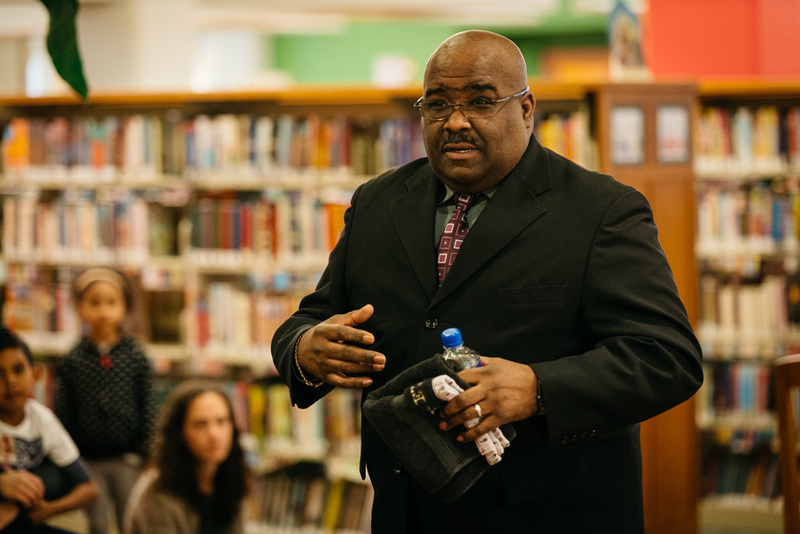 Brian Wilson, EPL’s children’s librarian, read books on Monday that illustrated the organization’s message of acceptance and celebration of black heritage. All the books were Coretta Scott King Book Award Winners, showcasing authors who portray black characters in a positive light. After the book readings, Eddie Reeves, reverend at the First Church of God in Evanston, asked children in attendance what they dream of. He said he hoped MLK’s message will motivate them to pursue anything they want. Reeves said it is a privilege for him to be able to share his oral interpretation of the “I Have a Dream” speech. Tags: award, Coretta Scott King, Eddie P. Reeves, Evanston Public Library, Karen Danczak Lyons, Krenice Roseman, Martin Luther King Day, Martin Luther King Jr.